Whether it's for overall happiness or the best place to live, Finland often earns high marks. But such accolades aren't always greeted with cheers and high-fives like they are in other places. The Finnish response is more muted, more pragmatic, more focused on the big picture. To understand why, you have to dig a little deeper into the culture. When Finland was named the happiest country in the world, "Finns reacted the same way as we have reacted to other top rankings in various international comparisons: we criticized the methodology of the study, questioned its conclusions and pointed to the shortcomings of Finnish society," Finnish photographer and researcher Frank Martela explains to Scientific American. This isn't the first time something like this has happened, either. Martela cites an op-ed written by the CEO of the Finnish Chamber of Commerce in 2014, after the country was named the most economically competitive country in the European Union by the World Economic Forum. While Risto Penttilä's op-ed is partially a political piece about certain policy failures, it speaks to an overall tendency among Finns to downplay successes by pointing out their failures. Martela posits that Finns, simply by not overstating or even showing their happiness, are making themselves happier overall. 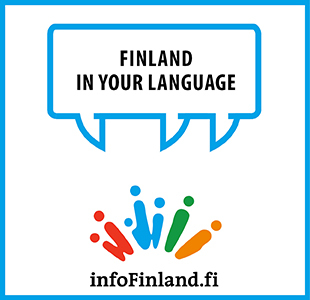 "The Finnish tendency to downplay one's own happiness and the norm against too much public display of joy might actually make Finns happier," Martela writes. "This is because social comparison seems to play a significant role in people's life satisfaction. If everybody else is doing better than you, it is hard to be satisfied with your life conditions, no matter how good they objectively are." Martela's assertion isn't entirely off base. As he explains, social media posts that present an idealized version of people's lives may make us feel bad about our own lives, even if they are objectively good. So are Finns really the happiest people in the world? Maybe, maybe not. It just depends on how you want to define happiness and how you're willing to show it. Original article was published by Mother Nature Network on 17/05/2018 and can be found here. The withdrawal of the United States from the Iran nuclear agreement could badly hurt transatlantic relations, said Finnish President Sauli Niinistö on Tuesday. At a press conference held after his meeting with President of Iceland Guðni Jóhannesson, Niinistö said that the issue surrounding the Iran nuclear agreement is a reason to worry about the global security situation. "The U.S. is no longer a part of it. That badly hurts transatlantic relations," noted Niinistö. "It has a wider impact than just Iran and the nuclear agreement." Finland and Iceland have a similar viewpoint when it comes to maintaining a peaceful situation in Europe and the rest of the world, he added. Original article was published by Xinhua News Agency on 15/05/2018 and can be found here. Environmental campaign group ClientEarth on Monday said it had submitted a complaint to a Finnish court seeking to stop the construction of the Nord Stream 2 gas pipeline through Finnish waters, citing the risk of serious harm to marine life. Finland approved the pipeline last month and the pipeline’s operator started preparatory work shortly after that. The work involves detonating World War Two bombs on the sea floor along the pipeline’s proposed route and ClientEarth said that could cause serious harm to porpoises, seals and birds. A Nord Stream spokeswoman said the project organization would examine the complaint, but added that it had agreed with Finnish authorities on mitigation measures to reduce the impact on marine life. The proposed pipeline between Russia and Germany, owned by Russian gas export monopoly Gazprom, is set to cross around 375 km of Finland’s economic zone through the Baltic Sea. Like Finland, Germany has also approved the pipeline. The project is currently collecting permits from Russia, Sweden and Denmark. Original article was published by Reuters on 14/05/2018 and can be found here. It’s almost two years since Finland turned a 130-year-old hospital in Helsinki's city centre into the biggest startup hub in the Nordics. The hub, Maria 01, has grown rapidly, and now a new games-focused hub will be opening on the same site next month. Games Factory will serve as a home base for a select group of gaming studios, and will also serve a larger role as a gaming community meeting place, a window for outsiders into the Finnish gaming ecosystem, and also as a platform for gaming initiatives in Finland and beyond. “We’ll be the embassy and showroom of the Finnish games industry in the global arena. Games Factory will develop the Helsinki and Finnish gaming ecosystem from the inside out”, explains CEO José Jácome. Jácome says that a key role for the new hub will be to increase cohesion within the industry by acting as a sort of regional community that allows game developers and others in the industry to network and collaborate, sharing both information and knowledge. This new “Games Embassy” will be home to 20 small to medium-sized gaming studios. “I think this hub will develop to be a fount of knowledge and exploration. Games and game development is constantly changing, and to stay relevant and push boundaries you need a place to share what you know and learn from others”. Original article was published by Business Insider Nordic on 18/05/2018 and can be found here. Would you give your kids total freedom? Juha Järvinen is a father of six living in a rural area in western Finland. He has an unusual parenting style: put simply, his children enjoy total freedom in the house. The idea is to teach children to only take risks that they can handle. Does his approach work? Original article was published by BBC News on 13/05/2018 and can be found here.